The iPhone X started a trend of companies using dark wallpapers to hide (or at least obscure) screen notches. It has been clear since the first press renders leaked that Samsung is also using this tactic to make the Galaxy S10’s hole-punch camera less of an eyesore. But as it turns out, you can actually embrace the hole-punch design, given the right background. 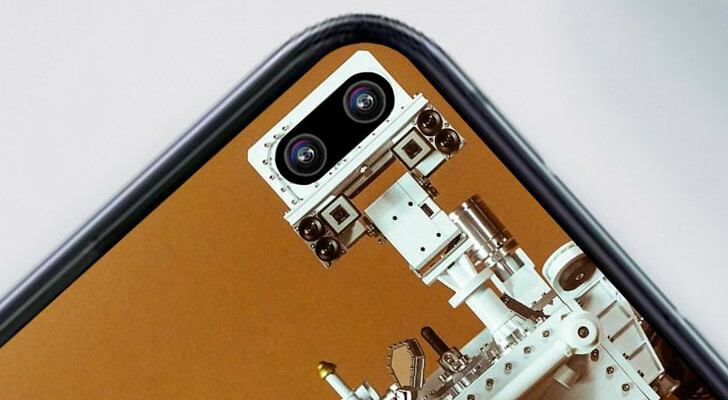 Matt B (@Mattcabb) on Twitter has posted a series of wallpaper mockups, showing how the double camera sensor on the S10+ looks remarkably like the faces of Johnny 5 (from the 1986 film Short Circuit), a NASA Mars rover, and Bender from Futurama. The single-camera hole on the regular S10 even fits R2-D2. Matt didn’t provide actual wallpaper images, presumably because hardly anyone has a Galaxy S10 yet, but I’m sure someone will make these real soon enough.